A release from the University of Exeter notes that the study, one of the largest of its kind, used tests from the CogTrackTM and PROTECT online cognitive test systems to assess core aspects of brain function. They found that the more regularly participants engaged with word puzzles, the better they performed on tasks assessing attention, reasoning, and memory. The study used participants in the PROTECT online platform, run by the University of Exeter and Kings College London. Currently, more than 22,000 healthy people aged between 50 and 96 are registered in the study, which is planning further expansion. The online platform enables researchers to conduct and manage large-scale studies without the need for laboratory visits. PROTECT is a 10 year study with participants being followed up annually to enable a better understanding of cognitive trajectories in this age range. PROTECT is funded by the Alzheimer’s Society and the National Institute for Health Research (NIHR) Bioresource, including through its NIHR Clinical Research Network (CRN). Dr Doug Brown, Director of Research of Alzheimer’s Society, said: “We know that keeping an active mind can help to reduce decline in thinking skills. 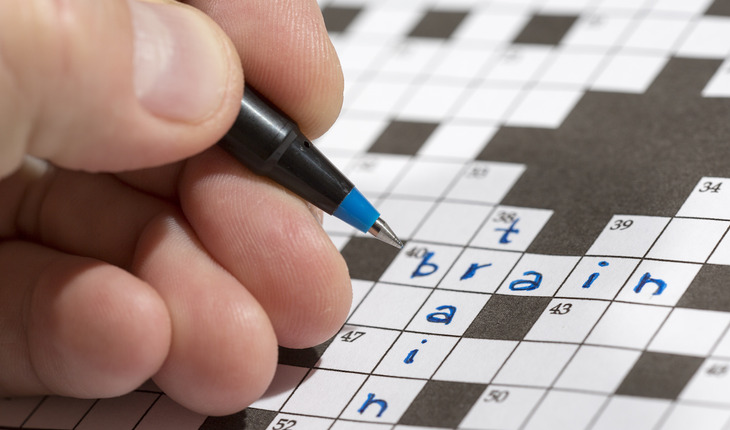 “This new research does reveal a link between word puzzles, like crosswords, and memory and thinking skills, but we can’t say definitively that regular ‘puzzling’ improves these skills. “To be able to say for sure, the crucial next step is to test if there are benefits in people who take up word puzzles.